In case you haven’t heard, TripAdvisor Australia is about to become the number one website in the global travel industry’s Destination sector. Their travel site lets travelers plan their trip through reviews of destinations, hotels and available activities. We’ve already talked about how tour and activity businesses can leverage TripAdvisor’s Facebook app; Cities I’ve Visited. This week, we talk about why you need to make sure you have TripAdvisor (as well as other user review sites like it) on your radar, and how its power lies in its word-of-mouth recommendations (manifested in online reviews). It’s easy to grasp the connection between site traffic and business exposure, especially if the site in question is a mega-hub for travelers. 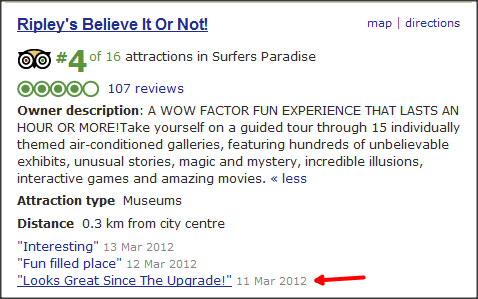 Right now, TripAdvisor’s Australian site only has one website in its way; Wotif. 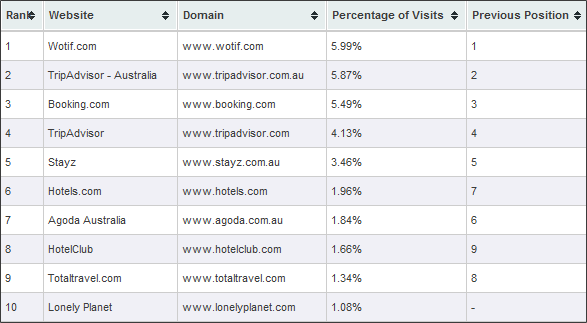 But TripAdvisor Australia is inching closer and closer to the finish line, with just a 0.12% gap in market share between them. In any case, if you list your business on sites like these, odds are you’ll get found by lot of potential customers. Also, if your online booking system is integrated with TripAdvisor and Facebook like Rezdy is (meaning they can book directly from your Facebook Business Page and connect to TripAdvisor’s website), it’s even easier for customers to share their experience with their friends. Since people value first-hand thoughts about an experience, such social media integration is good for business! 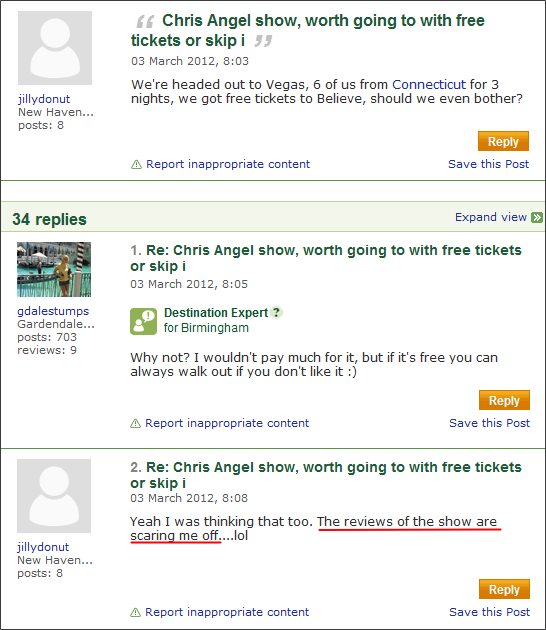 Instead of finding out for herself, she posts on TripAdvisor’s forum and asks others whether Chris Angel’s magic show is worth going to. Even though the tickets were free, she would rather not go than be disappointed. People are willing to do their own research by engaging with others online on forums like these to make sure they don’t waste their time. Positive reviews come as a by-product of listening and adapting. Also, reviews that cite a recent change in the experience show past customers that there’s something new to check out if they had a less than exciting experience before. Though the review section can make or break the perception of your business, don’t let that scare you to the point that you don’t list your service. Instead, see it as an opportunity to listen to your customers and get their honest opinions so you can adapt your business to their needs. 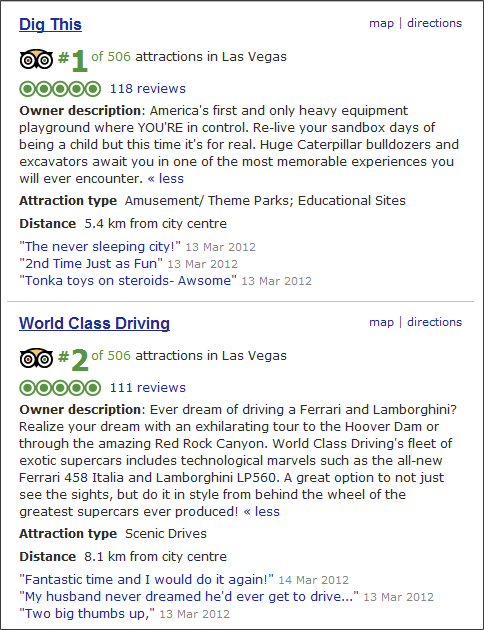 List your business on TripAdvisor and other user review for travel sites. Add as much information as you can, including photos, so people know what to expect. Ask customers to review and rate your business on one of these sites. Don’t abandon your profile but monitor reviews, and be sure to update essential information (like contact details). Are you listed on any of the above sites? How do you handle negative reviews? Let us know in the comment section below.